Thanksgiving is just around the corner! Time to teach those precious kiddos about the first Thanksgiving and how we take this time to celebrate God’s care and provision. If you’re looking for something a little different as far as activities or lessons this year, I have just the thing for you! 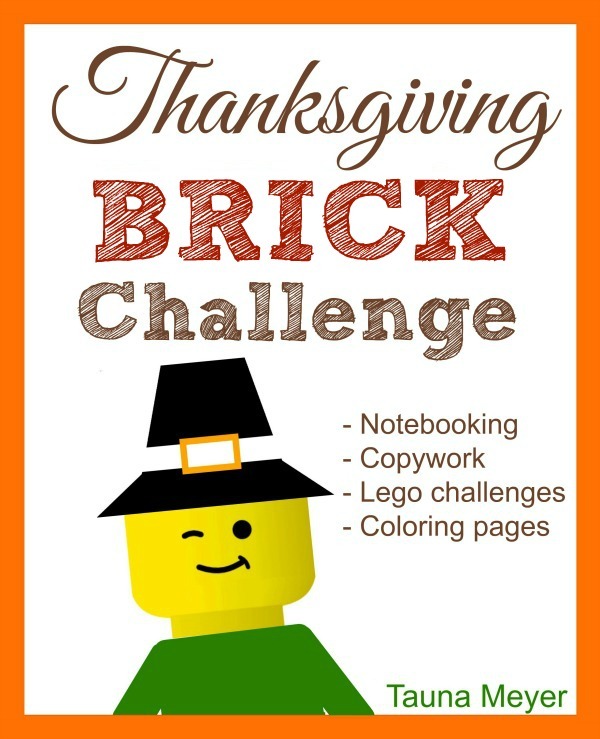 The Thanksgiving Brick Challenge is a great way to do something simple but fun with your kids ages pre-K through 3d grade. I’m sure you can think of some creative ways to extend it for the older kids as well. The Thanksgiving Brick Challenge can be flexible to fit your kids’ interests and abilities, and give you a memorable way to experience the season together. What is the Thanksgiving Brick Challenge? The Thanksgiving Brick Challenge includes 7 days of simple build challenges that start off with a Thanksgiving box. Throughout the challenge, your family places things they are thankful for in the box and reads them all together during the holiday meal. The remaining challenges follow Thanksgiving themes and include an extra challenge for each day if desired. Learn the memory verse as a family and have your children write it out with the copywork pages to aid in memorization. The suggested crafts and activities are very simple and are perfect for the younger kids who may not be ready to do full builds, although the older kids will enjoy them as well. 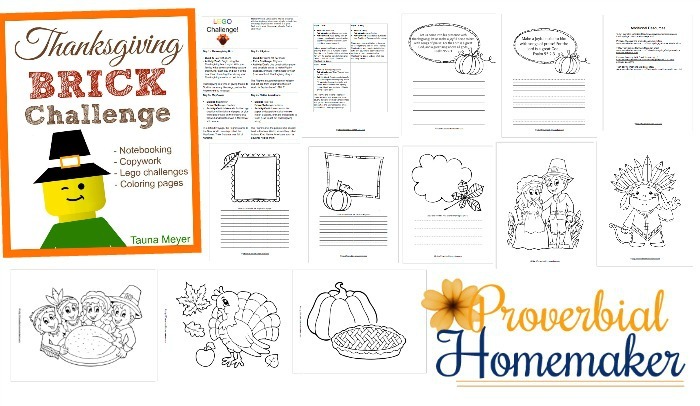 There are also simple notebooking pages to illustrate and write about the Mayflower voyage, the first Thanksgiving, and your child’s favorite Thanksgiving meal. Fun and friendly coloring pages will keep small hands busy during holiday celebrations, when older kids are building the challenges, or when you are reading a Thanksgiving story to them. Thanks so much! My son is excited about this. What is the best way to share his creations online and allow him to comment and encourage others? Your efforts and sharing are truly appreciated. Thanks for blessing our little class of 6 with resources!